After failing to win previous four league fixtures, Deportivo Alaves will be looking to get back on course when they face Real Valladolid at their Estadio de Mendizorroza. The Basques impressed in the first half of the season, but they have been struggling to find their best form in 2019 and, as a result, they dropped to eighth position in the standings. 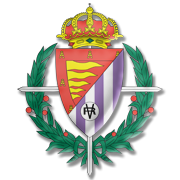 When Do We Release Primera Division Predictions? Our football tips are usually released on Monday at 12:30 London Time and Midweek day after last games is played, around 12:30 London Time. The goal that we are encouraged and driven forward is to provide the readers with the best and most-accurate betting support while being completely transparent in doing so. We strongly believe that having the right, accurate, and double-checked football predictions can make a significant difference between a La Liga fan and a successful La Liga punter. The Campeonato Nacional de Liga de Primera División, or La Liga as it is commonly called, is one of the largest and most viewed football leagues in the world. It has been around for quite some time, and the first official game was played in 1929. In the beginning, Primera Division consisted of 10 teams and that number has only risen over the years - to 20 as it stands today. Over the course of a season, teams lock horns with one another on two occasions – home and away – which says there is a total of 38 games each team has to play from August to April. At the end of each campaign, the three teams with the lowest position on the ladder drop down to a lower-ranked Segunda division, with 3 new clubs coming in to take their spot. The top two placed teams are being promoted into La Liga and the next four compete in the playoffs. 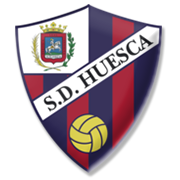 The winner secures the third promotional spot into the Spanish football’s top tier. The Spanish teams have had tremendous success in both of the European competitions in recent years. As a result, Spain boasts five guaranteed slots into the competitions that fall under the UEFA umbrella. The Primera Division sides are guaranteed four spots in the Champions League and one in the Europa League. The sixth Spanish team needs to battle their way through qualification rounds in order to ensure a place in Europe. Football in the Primera Division and Spanish football, in general, is known for being slower paced and more technically demanding. Compared to peer leagues from the top echelons of European football, La Liga usually sees more goals being scored and teams tend not to focus on defence as much as in Italy for example. Due to its unique style and flair, Primera Division betting odds tend to provide great opportunities to those with the right betting tips. Two power-house names of the modern football, Barcelona and Real Madrid, have been dominating the league for quite some time, winning the league the most. People like to say that it’s a league in which 20 teams compete in order to determine which of the two will lift the title. There seems to be a huge gap between the two biggest clubs and other teams rarely manage to cause an upset against them. Realistically speaking, upsets can be expected either at the start or at the end of the season with Atletico Madrid being the standalone side available of launching a challenge into ruining the duopoly. Waging on the number of goals and yellow cards in the biggest derbies, such as the El Clásico, for example, have shown to be a great choice. Betting on Barcelona and Real Madrid both teams to score has provided amazing odds and has proven to be a regular occurrence. Our team of Primera Division experts consists of accomplished sports columnists. On our side we have analysts and football aficionados with a long history in this business. 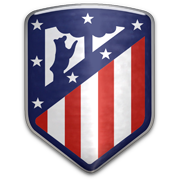 Their La Liga tips have shown to be reliable, and thanks to our insiders located in Madrid, we are regularly updated with fresh and reliable intel. Our predictions are based on the wealth of experience in the betting industry and our passion for profits and best possible margins. We follow the same football tips we write as we are certain that our analysis of statistical data, as well as the analysis of current forms, yield the best results. 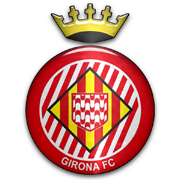 Check out our Primera Divison Preview for the 2nd half of the 2018/2019 season!